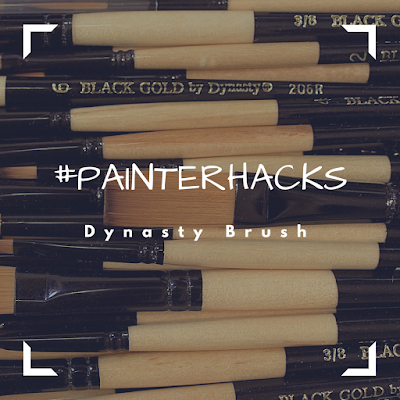 Last month we introduced a brand new series here on the Dynasty blog: #painterhacks--in which artists share clever tips and tricks to make life in the studio a little easier. 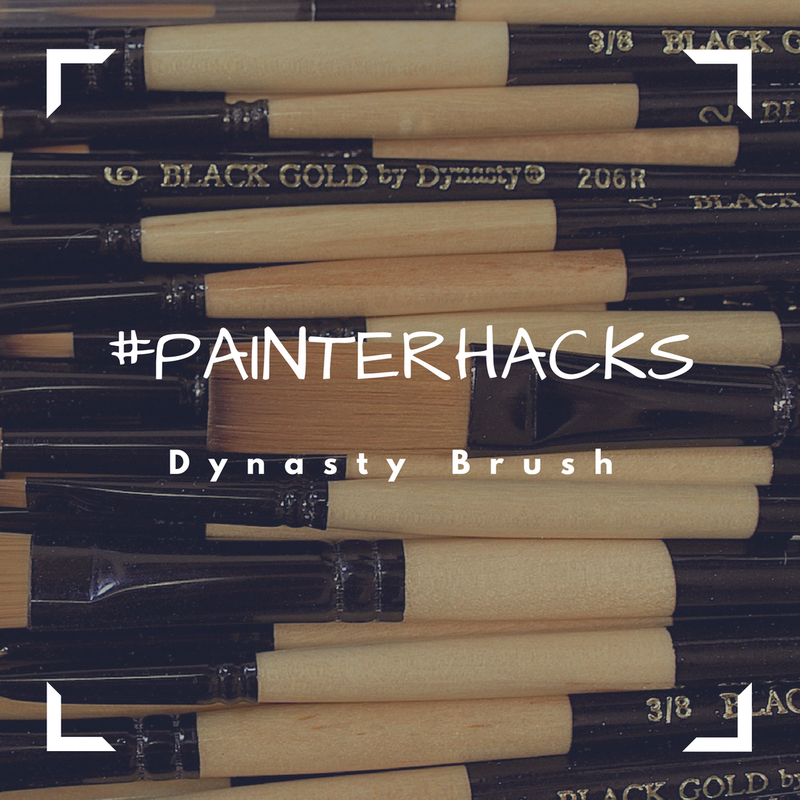 We are excited to bring you two more hacks from artists just like you who are using Dynasty brushes. Our first #painterhack comes from Marika Moretti of Marika Country Designs. "Even if I use what for me is the best liner, Dynasty Black Gold 20/0 script, sometimes I don't get the lines I want. 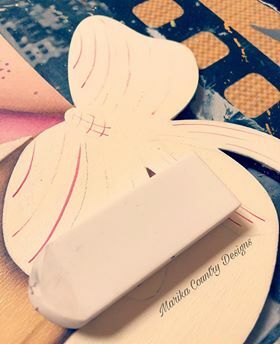 When I make mistakes, it’s quite difficult to take them away... Water or baby wipes work great to remove wrong floats, but a simple rubber eraser is a super good tool to help you with wrong lines! Just make sure to wet your eraser first and start rubbing the surface! This is the result of the first step on a wood surface. No more worries about getting bad line strokes!!!" Thanks for the #painterhack, Marika! Want to see more of Marika's work? As painters we know that making our art not only requires prep time, but also a lot of clean up. If you are painting in a classroom or shared studio situation, the line for the sink can be really long as everyone attempts to clean up at the same time. Our next #painterhack comes from artist Debbie James. "I prefer to clean my brushes at home after a class. When I'm finished painting I dress my brushes in extender. This will keep the paint open until I get home. Works really well!" Extender keeps the paint wet for easy clean up at your own place. Thanks for the tip, Debbie! You see more of Debbie's work on her Facebook page. If you have a short-cut or a painting tip to share, please get in touch with us here on the blog, on our Facebook page, on Twitter, or on Instagram.